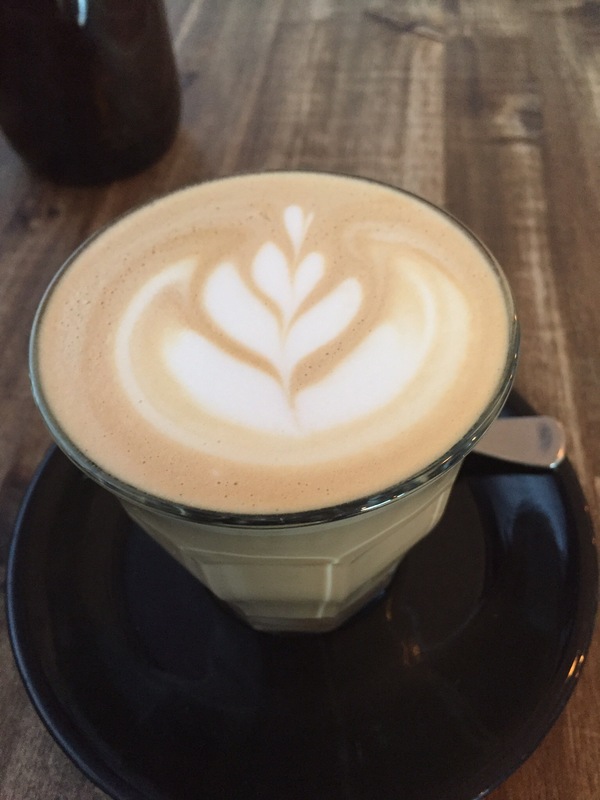 There’s a whole lot of wonderful packed into the tiny Harvest Espresso and we were excited to come and try out their new summer menu. We came early on a weekday, knowing that even then the small cafe could easily be full. We would never venture there on a weekend without expecting a long wait so if you can go at a time others cannot take the opportunity. We perused the menu and were quick to make our selections and place our order at the counter. We found their coffee to be equal to the best we’ve had there. It’s not a spectacular brew, but it’s consistent and tasty. It was a creamy and smooth brew, served hot but ready to drink. As always though, the most anticipated part of our visit was the sweet dish of the new menu. Oh how happy was I to see another brioche french toast! They’ve done some pretty amazing versions in the past (the baked almond brioche was a great example) and it was obvious that this was going to be something special as soon as materialised at our table. 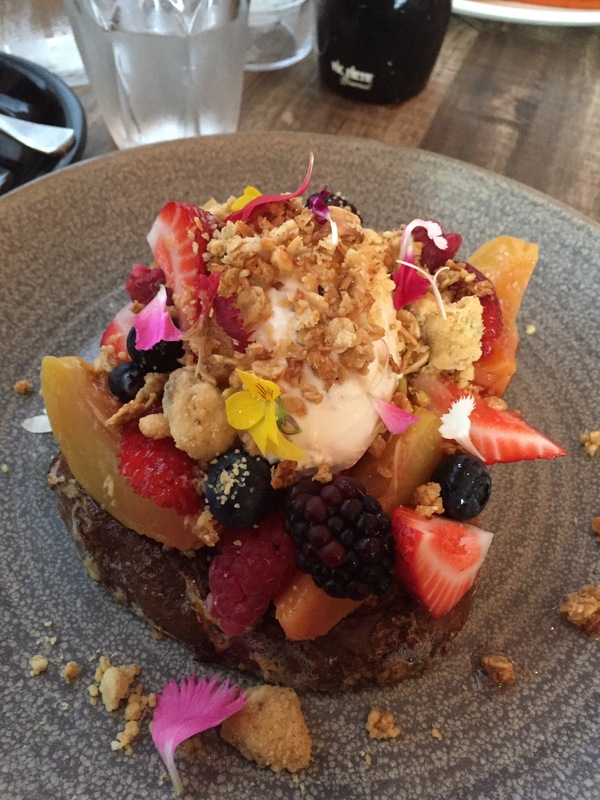 The brioche french toast was served with a pile of seasonal fruits, tonka mascarpone and a crumble. Tonka bean is a South American treat with a vanilla, almond and a little cinnamon flavour. The presentation was immaculate as always but the french toast was a bit over-soaked, losing the softness and that brioche crust. The flavourful fresh fruit, textural crunch of the crumb and the creamy tonka mascarpone made this a dish to remember! 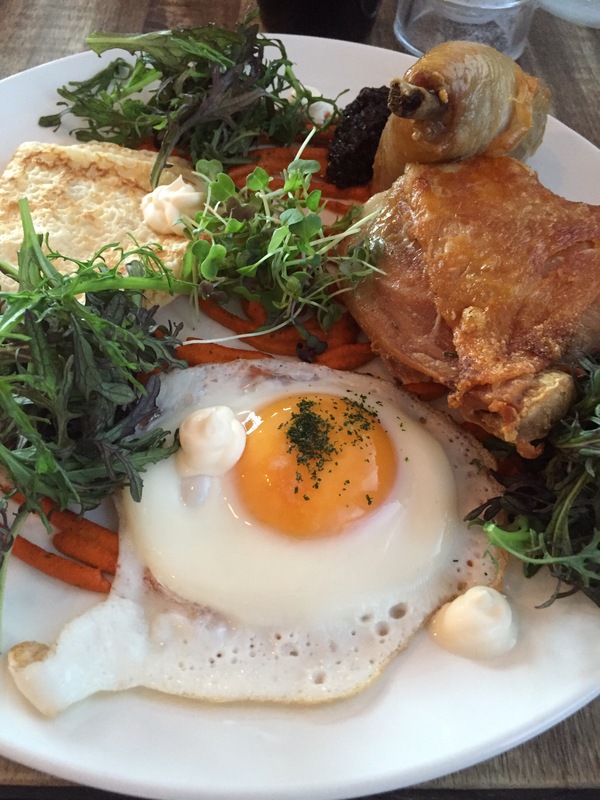 Our savoury choice this time was the chicken and the egg. This is certainly an unusual breakfast dish, and something that makes you question what breakfast is. This dish is salty, savoury with only a few features that make you think breakfast, the bacon jam was a standout of these. We enjoyed the sauce and the chicken was well cooked but just a bit too salty for our tastes for breakfast. This was an unusual dish, and it certainly made us think, but we would have liked a better balance of flavour, the presentation as always, was perfection. 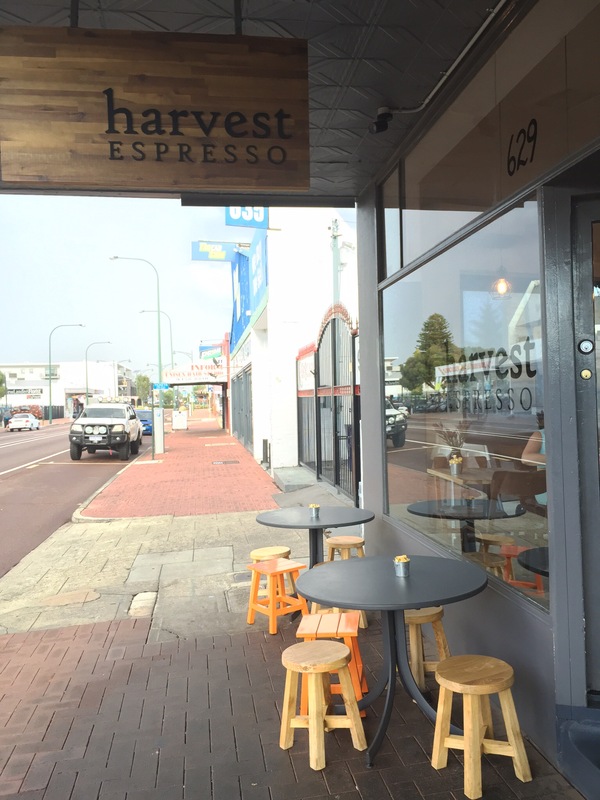 Harvest Espresso’s sweet dishes continue to impress, and their savoury continue to challenge our understanding of breakfast. This little cafe is well worth both the wait and the cramped space to get a taste of their unique and beautiful meals!